Master Dean Siminoff will be visiting our school on May 1 and 2. Master Siminoff is one of Mr. Voysey’s instructors. 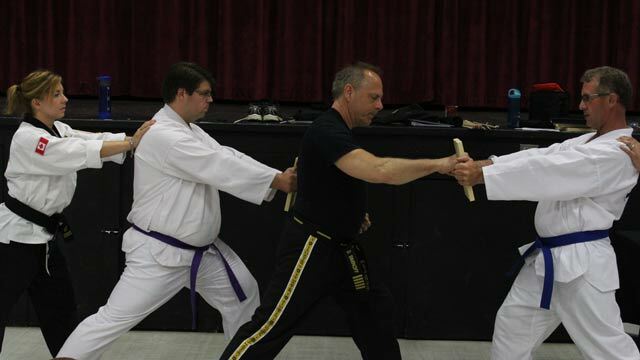 He holds a 5th degree black belt with the World Tae Kwon Do federation, is a Master Instructor and founder of Kootenay Christian Martial Arts. IT IS IMPORTANT THAT YOU GET YOUR REGISTRATION FORM IN BY APRIL 29, 2015. If there is an issue with the fee or you can’t pay right away, just see Mr. or Mrs. Voysey. All students are encouraged to support and attend this seminar. Families of 3 or more may attend all seminars for a total price of $125.